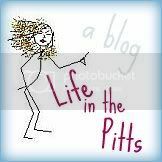 Life in the Pitts: I speak Sign Language. my aunt met her future husband learning als in college. he didnt want to be ther-both his arents were deaf and until he was 5, he only spoke asl-no real speaking! they wouldnt let him test out of the class. so there was this 28 yr old guy, who had to correct the teacher, tkaing this class for a credit. but he met my crazy aunt and 15 yrs later they are happily married! so not all is lost! 1. You just got me to listen to that song all the way through for the first time. 3. Confirmed: most ridiculous song ever. 4. I love ASL. Once I was practicing with a friend (just took asl 101) for class and this guy came over so excited and was signing with us, and then his girlfriend says really loud and exaggerated "tell them it's ni-ice to mee-eet them!" And we didn't have the heart to tell her we could hear her. Then it just got more and more awkward. Because the guy thought we were really deaf. And then it came up that our majors were music and linguistics. he was really impressed, and afterward we felt really crummy. That was seriously the best! I took a few years in HS so I can catch a little when I see ASL. I have lots of friends though that are interpreters so I can catch the jest usually. I love his facial expressions, ha ha thanks for sharing this. This is totally my song. I was in the warehouse building a few days ago, and Roscoe was in there too, that song came on the radio and Roscoe was singing along with it. It was so funny! I've always wanted to learn but haven't. That video is awesome. That was a great video. Thanks for posting it. I love watching sign language (though I can't speak it or understand it at all) and I especially loved his facial expressions! That is cool! I have always wanted to learn how to sign. i took all the years at byu too! how were we not in any of the classes together? we should video chat sometime and just sign. haha. I took 3 1/2 years of ASL, sure wish I could remember more of it! I can fingerspell with the best of them though. Kenzie and I watched Party in the USA link together, she thought it was fun. "It helped with my accent." You are too funny!